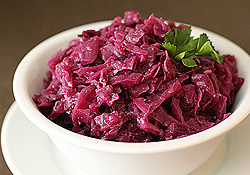 A Thanksgiving feast is incomplete without a side dish. Keeping this in mind, we are presenting a collection of Thanksgiving side dishes in front of you. Try them out and enjoy them. Happy Thanksgiving! Kosher salt- 2 tablespoons and 1 Teaspoon kept separately. Trimmed and ½ inch mushrooms- 12 ounces. Crushed black pepper- ½ teaspoon. Combine onions, flour, salt and bread crumbs. Brush the pan with nonstick cooking spray. Scatter the onions evenly on the pan. Bake it for 30 minutes until the color of the mixture is golden brown. Toss the onions twice or thrice while cooking. Take out the mixture from oven once done. Decrease the temperature to 400 degree F.
Prepare the beans while inions are cooking. Use 8 quart saucepan to boil 2 tablespoons of salt and one gallon water. Blanch it for 5 minutes after adding beans. Drain and sink the beans into the ice water to stop cooking right away. Now it’s time to add Mushrooms, 1 teaspoon salt and pepper. Cook and Stir it properly. Mushrooms will soon start to give up some of their liquids. 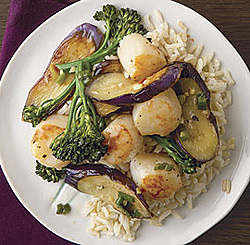 Continue cooking for 2 more minutes and add garlic, nutmeg at the same time. Scatter the flour over the mixture and stir it. Include broth and continue cooking for another 1 minute. Decrease the temperature to medium low and include half- and- half. Stir sporadically and cook it for 6 to 8 minutes. Take the mixture away from heat and put 1/4th of onions and green beans. Use remaining onions as topping. Heat again for 15 minutes until bubbly. Use cold salted water to cover the gold potatoes. Include 1 cup hot milk, salt and pepper. Continue mashing until it is soft and downy. Cover the red potatoes with cold salted water. Don’t peel off the potatoes. Crash and mix it with butter, ¾ cup hot milk, salt and pepper. Chop chilies and cut corn off the ears. Add corn, chilies and zucchini as soon as smoke comes out of the pan. Include butter and garlic before tossing it to combine. 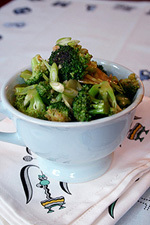 Heat the broccoli over low temperature. Take a small pan to heat the butter and oil. Include the finely chopped garlic. Also include red onions and lemon juice. Steam the mixture until tender. The mixture now should be tossed nicely with broccoli. In a large baking dish or jelly roll pan, pour in about 1/4-inch of boiling water. Cut squash in half lengthwise; with a spoon, remove all pulp and seeds. Place each half cut-side down in the baking dish. Bake for 30 minutes. Combine remaining ingredients. Remove squash from the oven; turn halves over. Stuff the center or each squash half with the apple mixture. Return to the oven for 30 to 35 minutes longer, or until apples and squash are tender. Stir each center lightly before serving. Cook mushrooms and green onions in the 1/4 cup butter until tender. Remove vegetables with a slotted spoon and set aside. Stir flour, 1/8 teaspoon salt, and a dash of pepper into the butter left in the pan. When mixture is smooth and bubbly, stir in 3/4 cup chicken broth, milk, lemon juice, and nutmeg. Cook, stirring, until bubbly. Add cooked mushrooms, green onions, and artichokes. 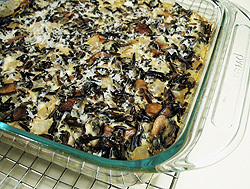 Spoon into a 1-quart casserole; sprinkle buttered bread crumbs over the top. Bake at 350° for 20 minutes. Heat oven to 350°. Butter a 6-cup soufflé dish and sprinkle with the bread crumbs. Turn to coat the entire inside with crumbs. Take a piece of foil long enough to wrap around the outside of the soufflé dish (with a few inches to spare) and fold in half lengthwise. Wrap around the soufflé dish and fold ends together so the foil is tight around the dish. Use a piece of kitchen twine and tie it on, if possible, and butter the inside area. In a blender or food processor, combine the beans, milk, and seasonings; process until smooth and pureed. Pour the puree into a medium saucepan; stir in cheese. Heat until cheese is melted. Put the egg yolks in a small bowl; add about 1/4 cup to them and whisk lightly to combine. Add the egg yolk mixture to the saucepan, stirring until well blended. In a glass or metal bowl, beat egg whites until soft peaks form. Gently fold about 1/3 of the egg whites into the saucepan mixture, then fold in the remaining egg whites in two or three more additions. Pour into the prepared soufflé dish and bake for 30 to 40 minutes, until the top is golden brown. Serve immediately. Brush a jelly-roll pan with butter and heat oven to 350°. Carefully cut each squash in half lengthwise and scoop out seeds and soft fibers with a spoon. Brush the inside of each squash with butter; sprinkle with cinnamon sugar. Place squash halves, seasoned cut side down, in the prepared pan. Add about 1/2 cup water to the pan. Bake for 1 hour to 1 hour and 20 minutes, or until the squash is tender. Serve halves immediately or scoop the squash out into a serving dish and discard the skin. 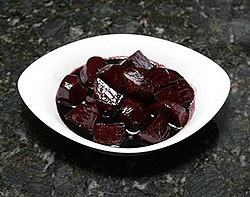 Combine beets with water, brown sugar , vinegar, and butter. Bring to a boil. Reduce heat to medium and continue simmering, uncovered, for about 1 hour, or until beets are tender and most of the liquid has boiled away. 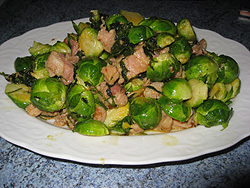 Cook Brussels sprouts in boiling salted water, following package directions. Melt butter in a small saucepan; blend in flour and remaining ingredients, stirring and heating until mixture is bubbly. Pour over the Brussels sprouts and stir gently to mix. Sauté mushrooms and onions in hot butter. Add green beans, water, and salt and pepper. Bring to a boil; reduce heat and cover. Simmer until tender. Add cream and heat through without boiling. Taste and add more salt and pepper as needed. Cook eggplant in boiling salted water until tender. Drain and mash. Add butter, grated onion, and salt and pepper to taste; blend well. Beat eggs with milk; stir into the eggplant mixture. Stir in cracker crumbs and half of the cheese. Bake in a 2 1/2-quart casserole at 350° for 45 minutes, or until set in center. Sprinkle with remaining cheese and continue to bake until cheese is melted and bubbly. 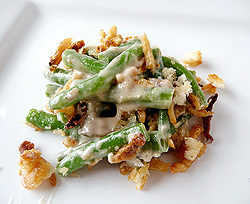 Cooked asparagus is served with a tasty cheese sauce with a sprinkling of crumbled bacon. Melt butter in saucepan; stir in flour until smooth and bubbly. Gradually add milk. Cook, stirring constantly, until thickened. Add salt and cheese; stir until cheese is melted. Pour sauce over hot drained asparagus then sprinkle with crumbled bacon. This cauliflower casserole is a wonderful side dish for any family dinner. Trim cauliflower and separate into flowerets. In a saucepan combine cauliflower with peppers and onion; cover with water and salt. 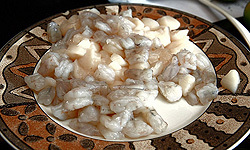 Bring to a boil; cover and cook for about 10 to 12 minutes, or until tender. In another saucepan; melt butter over medium-low heat. Pour in flour and stir until smooth and bubbly. Gradually add milk, stirring constantly. Continue cooking and stirring until thickened. Stir in half cup of the cheese. Pour sauce over cauliflower and transfer to a lightly buttered 1 half-quart baking dish. Top with buttered bread crumbs or French fried onions. Bake at 350° for about 30 minutes. Sprinkle with remaining cheese the last 5 minutes of baking time. Quarter the cabbage and cut out the core, then cut quarters crosswise into slices . Melt butter in a large skillet over medium-low heat. Add cabbage, water and vinegar. Cover and cook for about 15 to 20 minutes, stirring occasionally. 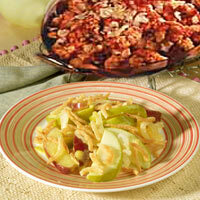 Add the apple slices, jelly, salt, and caraway seeds or raisins if used. Stir well; heat uncovered about 2 more minutes. Slice or quarter onions. Boil until done. Into a baking dish put a layer of onions, butter, salt, and pepper. A layer of broken crackers, more onions and crackers, until all are used. Heat milk just to lukewarm. Mix milk and eggs together; pour over the mixture then cover top with buttered crumbs. Bake at 325° just long enough to set the milk and eggs and brown top, about 30 to 40 minutes. 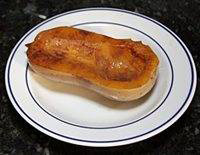 Serve from the dish in which it was baked. 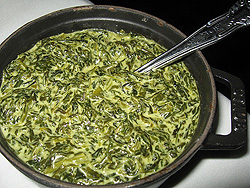 Heat spinach in saucepan; add onion, salt, nutmeg, cream, and butter. Mix well and heat through. Spoon onto serving dish and top with hard-cooked egg slices. Heat oven to 350°. Place cooked green beans in a 1 half-quart baking dish. In a medium saucepan over medium heat, cook bacon and onion until bacon is browned and onion is tender, stirring occasionally. Stir in flour until well blended. Gradually stir in the water, chicken bouillon granules, and pepper. Continue to cook, stirring constantly, until sauce is quite thick. Add sauce to beans and gently stir to blend. Sprinkle with cheese. Bake for 30 minutes until casserole is hot and bubbly.